Replacement of hair is a natural process. Each individual hair only has a limited duration of life and is replaced after a certain period of time. Each hair follicle has its own cycle. Therefore hair replacement of the guinea pig and other small rodents cannot be determined at a certain season. Individual hairs are constantly falling out at different places of the body and are replaced by new ones. Irregularities in feeding and thus dysfunctions in the hormonal and protein forming scope may quickly lead to bare spots. 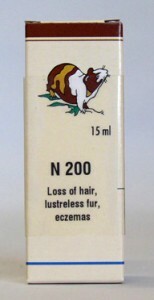 As a precaution you can avoid complications with hair loss by administering N200 with the drinking water twice a week. In addition to this, we recommend you to change to a high-protein feed which can be digested well. Apply with the feed or the drinking water. Generally 3-5 drops in about 100ml of drinking water per animal, depending on its size. The product can be given for one or two days or if needed up to several weeks depending on the field of application for application. There is no habituation effect. A healthy animal drinking N drops will not be affected in a negative way, the product will show no effect on it. Therefore it is not necessary to separate ill rodents from healthy ones. There are no known contraindications, side effects and interactions with other products. Coughing, a running nose and sneezing are certain signs for a cold or for illness caused by a cold. Draft, wet and cold air and extreme variations of temperature may easily lead to a cold or even to conjunctivitis. Inflammatory processes may also be caused by small injuries of the skin, eg. By sharp-edged beddings. An infection of the fresh wound due to dirt may lead to an inflammation. This often causes an abscess through suppuration. 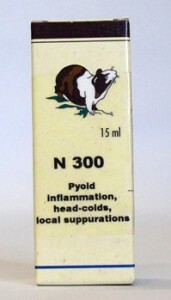 N300 helps to quickly heal the inflammatory process. Check the composition of the feed and change, if necessary, to a basic feed enriched with vitamins. We would also recommend to change to a beddings with no sharp edges. Even if your rodent sits on the best beddings and in a well-finished cage, external injuries can occur. Especially when several animals are kept together, as it is appropriate with guinea pigs, occasional quarrelling and fights may take place. The injuries which may arise can be easily recognized, as the animal might be bleeding. 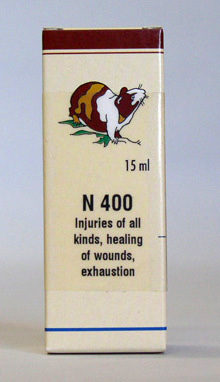 Apart from a direct treatment of the wound, N400 provides for a quick healing and thus protects from infections. Also, general states of exhaustion, as they may occur due to change of place or continual stress, can be treated very well with N400. The body of the animal reacts to various illnesses with an increase of body temperature. 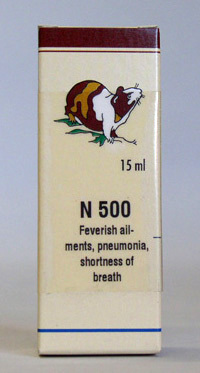 If a certain amount of temperature is exceeded, the animal has fever. In general the increase of body temperature helps to actuate the healing processes. Pneumonia and respiratory distress as it may be caused by extreme draft and untreated illnesses due to a cold can also be successfully treated by N500. Unbalanced feed is often the cause of different signs of digestive disorder. Small mammals generally need a special portion of roughage, which provides for enough bulkage. If there is not enough of this bulkage, constipation often occurs due to insufficient bowel function. Also insufficient fresh juice feed or feeding only dry pellets without an additional water supply may lead to constant digestive disorder. As a first measure we recommend optimizing the feed. A good basic feed with an upgraded share of protein, fresh green feed, fruit and vegetables, good hay every day and always fresh drinking water provides for the proper functioning of the digestive organs. For re-establishment of the functions administer N600 for one or two weeks until there has been a distinct improvement. Diarrhea can have a variety of causes. Spoilt, mouldy feed or wrong feeding are the most frequent. Diarrhea as a consequence of other diseases or of parasitic infection is to be excluded here, as these causes are to be treated by the veterinary physician only. 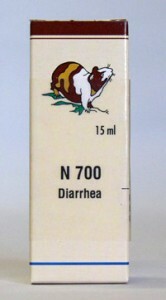 Diarrhea due to feeding can be treated very well with N700. If diarrhea continues on the second day with undiminished intensity in spite of having administered N700, it is important that you see the veterinary physician! Make sure to change the feed and do not feed anything which provokes diarrhea. Avoid feeding frozen, mouldy or otherwise spoilt feed. Give fresh fruit and green fodder only. Do not collect greed fodder from contaminated places (road sides or sprayed meadows and fields). Breeding and growth of the young animals are very sensitive fields in the course of the animal’s lifetime. Malnutrition experienced here has consequences up to old age. This is often the cause of disorders of the general well-being and the basis of an increased susceptibility to diseases. So it is comprehensible that every breeding animal must get the best feed and optimum care. This must begin with the pregnant female and continues during the complete breeding period. Beside the optimum supply with an improved protein share and the connected vitamin and mineral doses, N800 provides for an improved processing of all the components required for growth. We recommend to administer N800 twice a week to the animals designated for breeding. Sanguineous urine is a distinct sign of inflammatory processes in the urinary tract. Often it is the urinary bladder and the urethra which contact a disease. Different pathogenic agents get into the urinary system in several ways. Bladder stones, however, are to be found less often and are often a consequence of bacterial infestation. Apart from sanguineous urine, one notices that the animal often urinates in small amounts feeling pain when doing so. A curved back and distinct sounds of pain are also distinct signs of cystitis. We recommend regular doses of N900 in alteration with N300, to heal the inflammations. 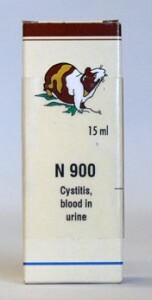 In acute cases N900 it to be administered daily during a period of 1 week. Conservative attendant therapy with neoplasia, mammary tumours, tissue indurations. Lymphatic system, thyroid gland, mucous membranes, neoplasm, gland indurations, tumours, tissue fibrosis. Guinea-pigs 8 drops daily into the drinking water or onto the feed. 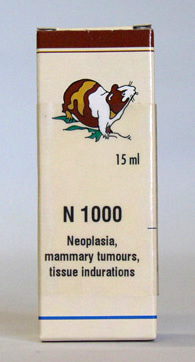 N 1000 was applied as attendant therapy for a guinea-pig with atheroma on the back. Within 30 days the condition improved and was moving in the direction of a partial reconstitution. Mineral catalyst to improve the immune system, with infections and inflammatory diseases. Contains all vital trace elements. 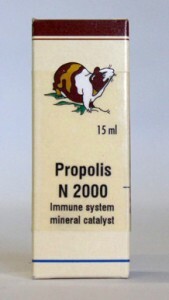 Propolis, the sealing agent of the bee, is a variously applicable substance of naturopathy. To a certain degree it has the effect of a natural antibiotic due to its features of killing bacteria and fungus. All vital trace elements, which promote the building up of the organism, have been detected in Propolis. The combination with other rodent preparations, e.g. 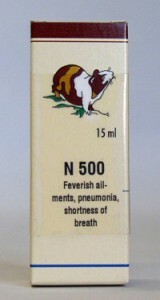 with N300 in the case of illnesses caused by a cold and with N700 in the case of diarrhea is especially useful. Propolis N2000 can be used acutely and as a precaution in a series of treatments for 1-2 weeks every month.